Spaceflight company Virgin Galactic has lost its Spaceship Two in a crash during a test flight over the Mojave Desert in California. Virgin Galactic’s partner Scaled Composites conducted a powered test flight of SpaceShipTwo earlier today. During the test, the vehicle suffered a serious anomaly resulting in the loss of the vehicle. Our first concern is the status of the pilots, which is unknown at this time. We will work closely with the relevant authorities to determine the cause of the accident and provide updates as soon as we are able to do so. Update: One pilot was killed in the crash, while a second pilot, who ejected from the craft and parachuted to the ground, survived with serious injuries. He was discovered more than a mile away from the site of the crash, Reuters reports. 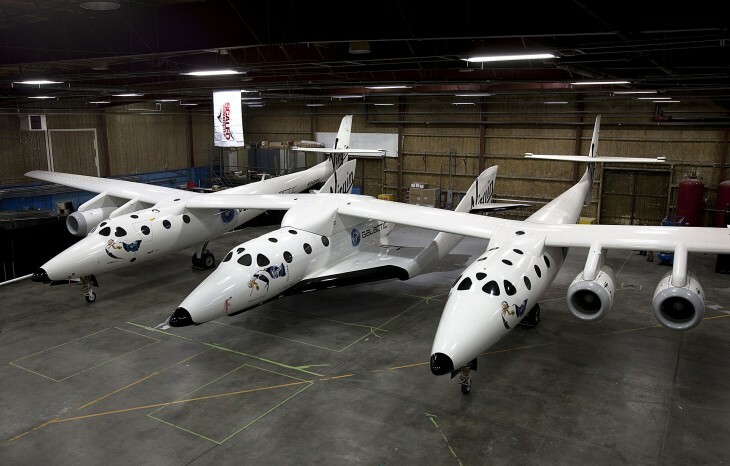 Virgin Galactic had originally reported Spaceship Two as flying airborne earlier today after separating from the WhiteKnight Two aircraft used to launch it. Earlier this week, Orbital Sciences lost an unmanned Antares rocket in a crash during a launch. In August, SpaceX detonated a rocket after a test went awry.